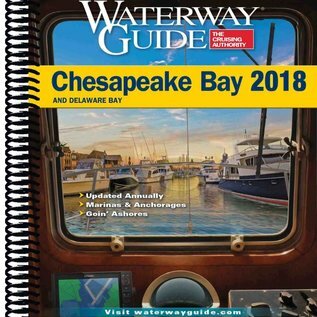 The Waterway guide Chesapeake Bay 2018 is for boaters exploring the Chesapeake Bay, the Delaware Bay and the Delmarva Atlantic coast from Cape May, NJ, to Norfolk, VA. 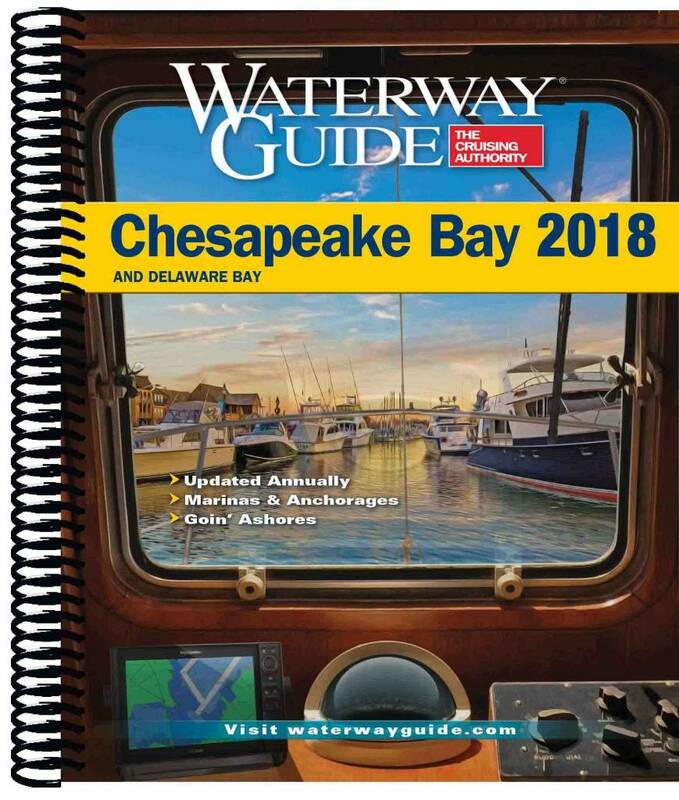 The Guide features over 400 pages of mile-by-mile navigation information, aerial photography with marked routes, marina listings and locater charts, anchorage information and expanded 'Going? Ashore' articles on ports along the way. Helpful cruising data like GPS waypoints, detailed planning maps, weather station maps, distance tables and tide tables helps get cruisers there safely. Flexible spiral binding and heavy laminated covers with bookmarker flaps ensure durability and easy use in the cockpit and at the helm.